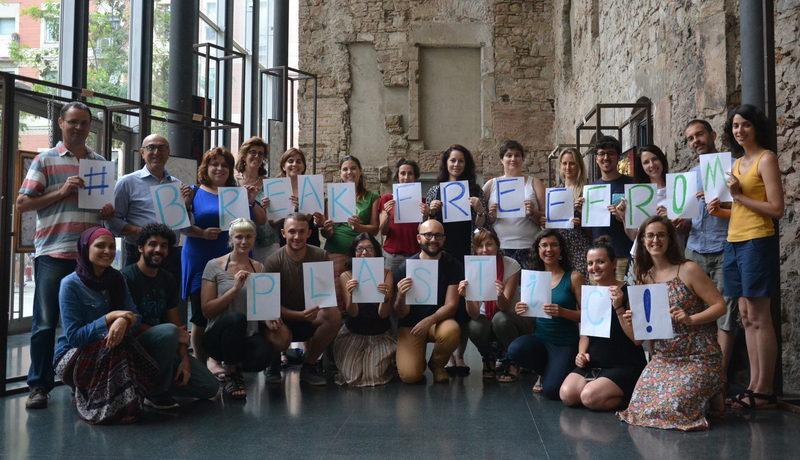 Over twenty environmental NGOs, among which MIO-ECSDE joined forces to launch the Break Free From Plastic Movement in the Mediterranean. At their first meeting in Barcelona in June 2017, they agreed on a manifesto calling for systemic change along the entire plastic value chain to prevent plastic pollution at source. The Mediterranean is one of the most affected seas by plastic pollution, worldwide. Plastic litter is found floating anywhere from the sea surface to the seafloor, lying on the shores of even of the most remote islands, and in the deep sea. Plastics threaten and kill the diverse marine species, most of which exist only in the Mediterranean; they transport non-indigenous and potentially harmful species, and transfer toxic chemicals; they fragment to microplastics, that can subsequently be ingested and may end up ‘poisoning’ the food chain. Plastic pollution in the Mediterranean must be stopped before it’s too late! Most of the plastic pollution in the Mediterranean comes from land-based practices. The root causes of plastic pollution are our unsustainable production and consumption patterns, ranging from bad product design and consumption habits, to inappropriate waste disposal at households and inadequate solid waste management practices at all stages on- and off-shore, to discharges of inappropriately treated/untreated municipal sewage and industrial waste. End-of-pipe measures like marine litter cleanups are no solution to the problem. To break free from plastic pollution in the Mediterranean, we need to adopt an integrated and holistic approach focused primarily on prevention at source rather than cure. Currently the European Commission is preparing a dedicated plastics strategy to help Europe improve recycling, cut marine litter, and remove potentially dangerous chemicals. In October 2017, it will also host in Malta – at the heart of the Mediterranean- the ‘Our Ocean’ Conference, which will focus also on pollution from plastics. This conference together with the plastics strategy present a great opportunity to put forward ambitious commitments towards breaking free from plastic pollution in the Mediterranean: the time to act is now!